A glamorous update of a 1950s Design Classic. 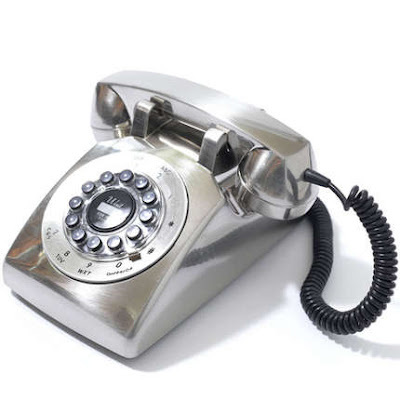 The Dreyfuss 500 was, for many years, the most popular ‘phone in America. This new silver version is rugged and heavy and features an authentic mechanical ring, just like the original, but functions with push button technology.